Remove elderberries from stems and rinse. Place them into a large pot and crush with a potato masher. Turn the heat to medium, continue to crush as the mixture heats up to a boil. Once it reaches a boil, reduce the heat to a simmer and let it simmer for 10 minutes. Then sieve the mashed berries. 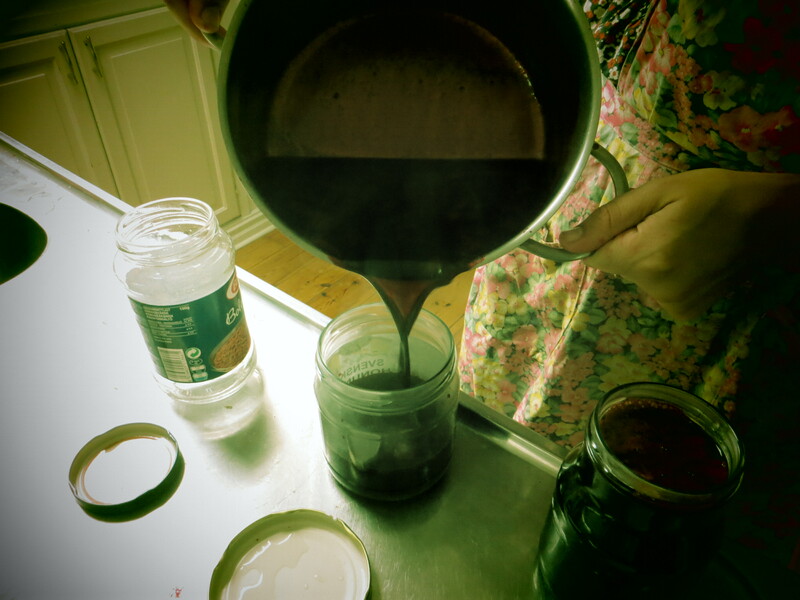 Add lemon juice, sugar, cinnamon and cocoa and boil again while stirring. Boil for approx. 5 mins and fill into jars. Turn the jars upside-down and let them cool. Pour water into medium saucepan and add elderberries, finely-chopped ginger, cinnamon and finely-chopped clove and bring to a boil. Then cover and reduce to a simmer for about an hour. Pour through a strainer into a bowl. When it is no longer hot, add honey and stir well. Pour the syrup into bottles. Store in the fridge and take daily approx. 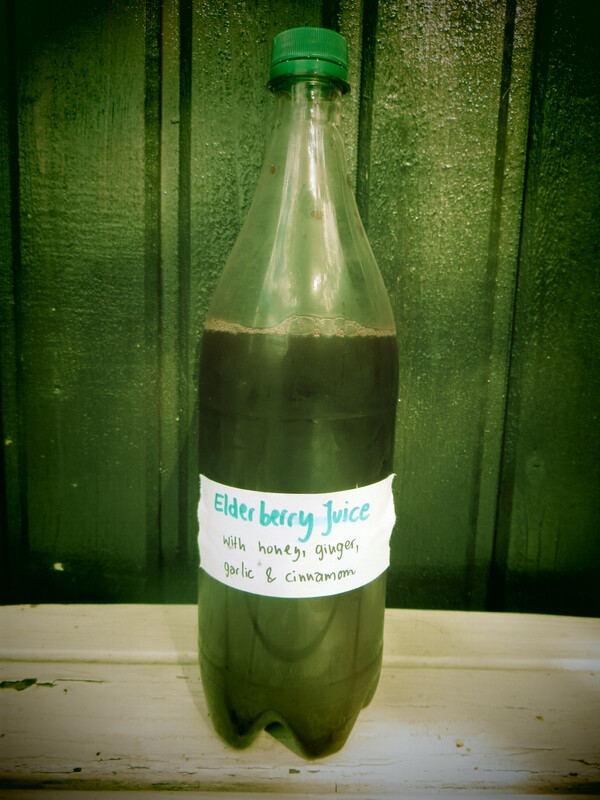 1 tbsp (for kids half) for its immune boosting properties. If the flu does strike, take the normal dose every 2-3 hours instead of once a day until symptoms disappear.